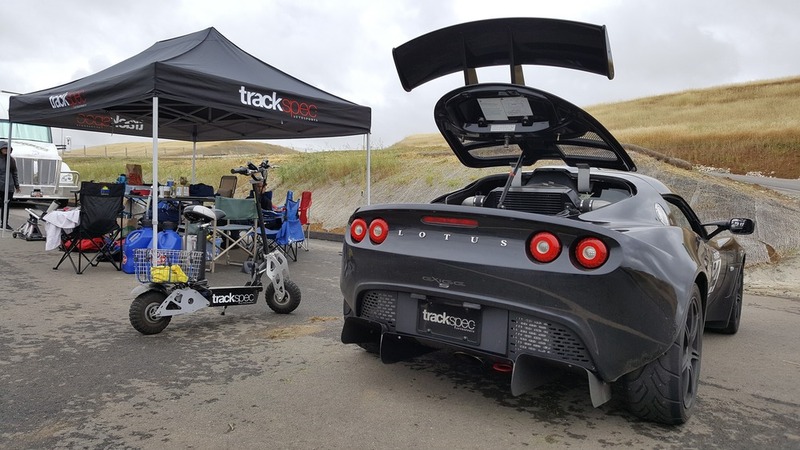 This past Saturday, on May 7, OnGrid hosted yet another fun and smooth event at Thunderhill West. 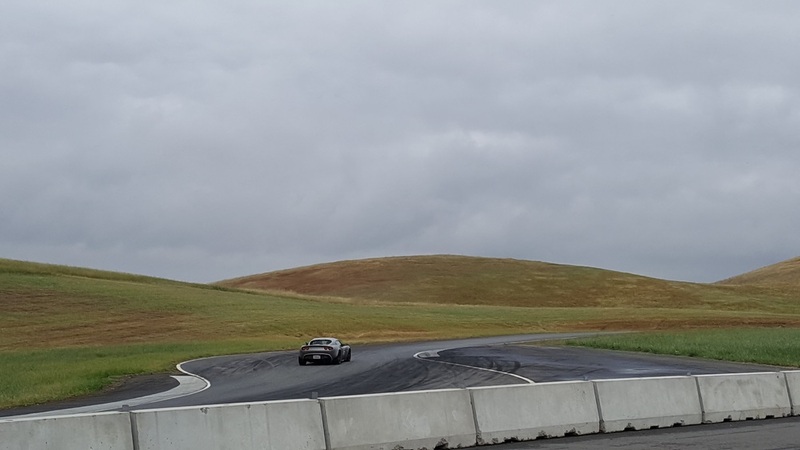 Three factors made this day incredibly fun: 1) It was almost everyone's first time driving this part of Thunderhill, 2) The track is short and windy, and 3) It was slippery due to on and off rain. On Friday, we stayed at our usual, Colusa Casino Resort. We all live in the South and East Bay, so we like to stay overnight near the track. The casino is still 30 minutes away from Thunderhill but we like to have a little fun while we're there. The rooms are clean, not expensive, and we get to enjoy a nice team dinner together. Woke up next morning around 6am and left around 7:30am. Weather did not look great. As soon as we started walking to our cars, it started raining. As soon as we arrived at the track, we saw so many friends and customers...and so it took 20 mins to gather everyone and find parking that would fit us all. It was definitely slippery out there. Although people slid around and some went off, there weren't any really bad accidents. Our customer, Sam (red Audi S4), compiled a short video of a couple of spin-outs, including his own off-track incident. He went pretty far! During lunch, Trackspec track crew was invited to take group photos on the track at turn 6 with the rest of the OnGrid team. On the way there, photographer, Trevor Ryan, was able to get some amazing rolling shots. Please check out his work, he is very talented! Rode in Son's S2000 for the first time. Had the best time. He clearly knows what he's doing because although it was raining and it was his first time on the track, he got a 1:27. It was also Jon's first time at this track and he got a 1:31 in his Golf R. Not bad for a slippery day for these guys. If you're reading this, I'd like to thank you for looking at all of our photos & videos and just being interested in our blog. As a token of my appreciation, here is a short video of Jon Vo & Son Vo trying to mount a GoPro in Son's car. You're welcome. LOL.